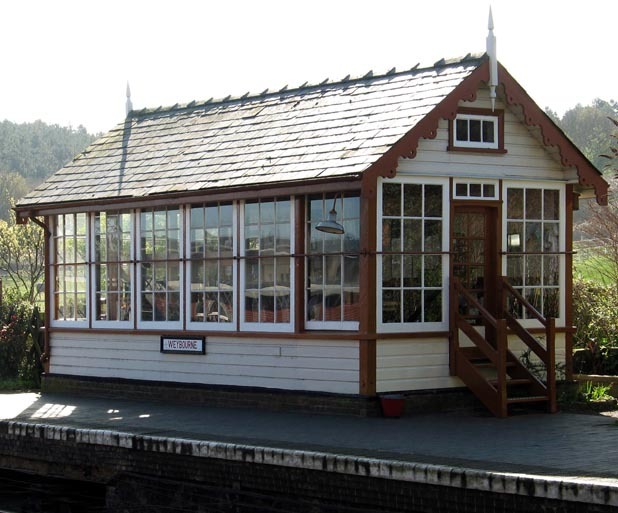 Weyboure signal box is on the platform at Weybourne station. Weyboure signal box at Weybourne station on the platform in 2006. 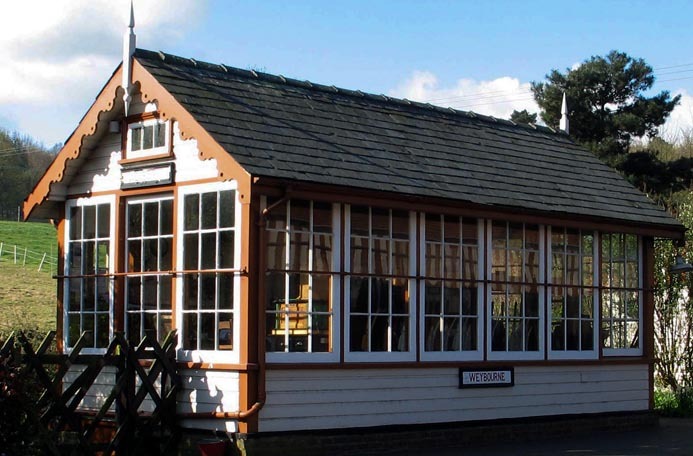 Weboure signal box is a Midland and Great Norther Type 1 which dates from 1913. It came from the old Holt station when that was closed. The old station was near to Holt town center. The North Norfolk's station at Holt is on a site on the Sheringham side of Holt because a new road has been built on some of the old trackbed in Holt. Holt station is not now were the old station was, as when this part of M&GN closed a road was built on part the old railway bed. Some of the site were the old station was, has also been built on.